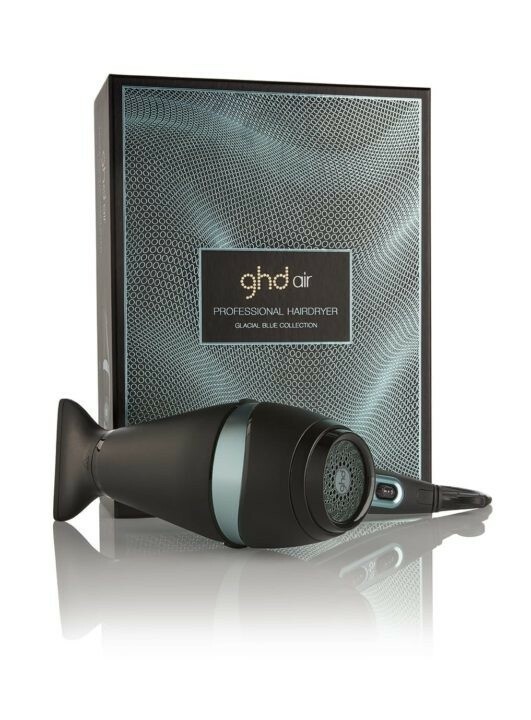 Be blown away with the salon-quality and precision of the ghd air® hairdryer, accented in the coolest shade of the season. 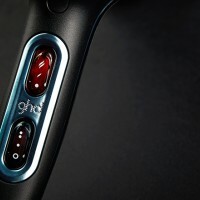 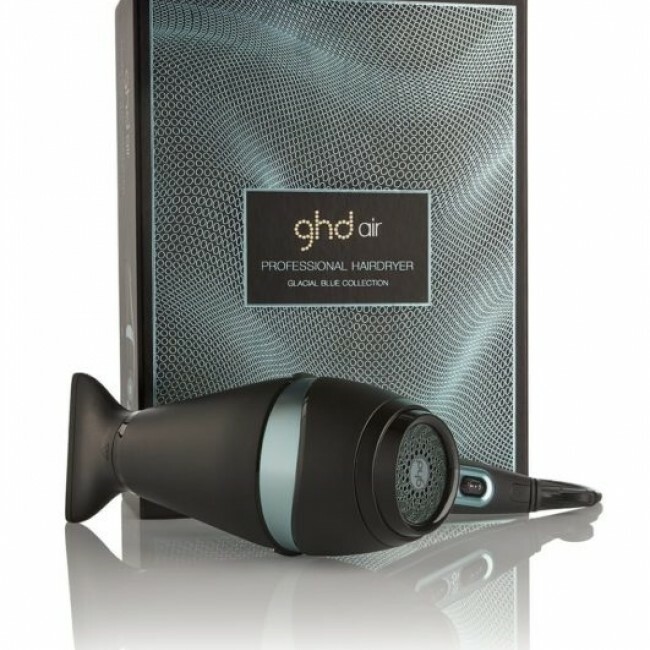 With its professional-strength motor and advanced ionic technology, ghd air® delivers exceptionally fast drying and styling, while also helping to reduce frizz, leaving hair soft and silky. 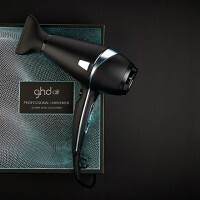 Hair drying is faster and styling results are cooler than ever before with the glacial blue collection ghd air® hairdryer. 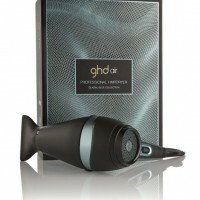 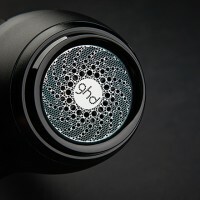 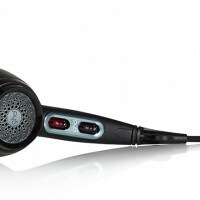 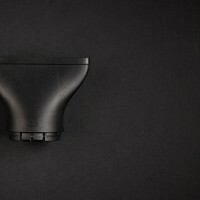 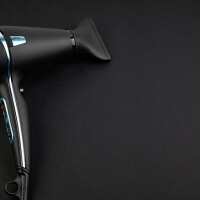 ghd glacial blue air hairdryer.